Sep 5, 2013	V-Soft, Inc. 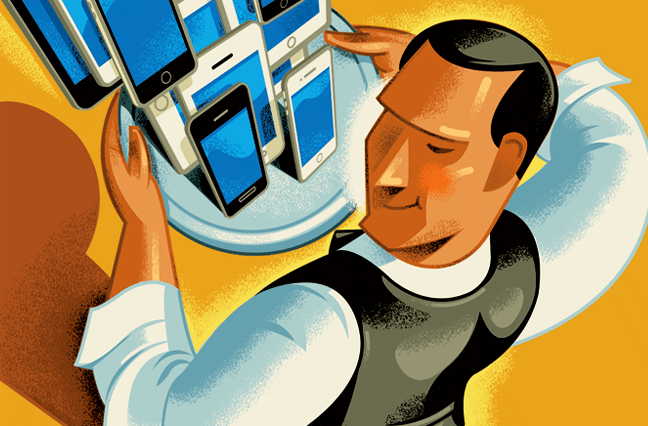 Mobile Application Development	Comments Off on How Smartphones are changing The Way of Paying Bills at Restaurants? Credit cards, debit cards and radio-frequency identification method are some of the smart ways of making payment. The fact why they are called as contactless payment methods is that the user does not have to take time making cash payment by standing in long queues. The concept of contactless payment method in mobile devices is yet another innovation for people to enjoy transaction process with ease. Through this method you will be able to pay your bills by tapping your credit card or debit card details which in turn will be stored in the uploaded mobile application. Hence, this will avoid typing your contactless payment details every time you purchase or shop. In addition, Smartphones offer you the facility to just tap a single button which can deliver the payment process even without keeping the mobile screen live. Mobile applications vary according to the type of operating system. The user should try to choose suitable application based on his mobile device capacity and compatibility. If a Smartphone with windows OS is tried for other OS based applications, it might not work. Click here to get information about the future of iPhone apps developments. As people experience smart way of living with mobile applications, the future of applications is sure to fetch innovative options to convert live further easier to move on. Especially when it comes to travelling abroad, the necessity to make safe payment stays a mandatory one, in such a situation mobile applications for paying bills will work as an effective and reliable option. In addition, it is also possible for the user to upload more new applications in accordance with the OS of his mobile device and make use of the beneficial features. More details visit at http://www.v-softinc.com/about-us/.